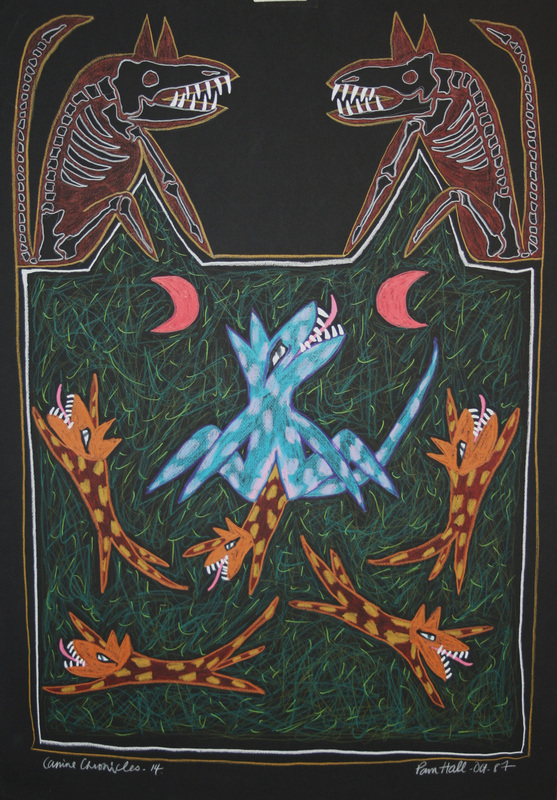 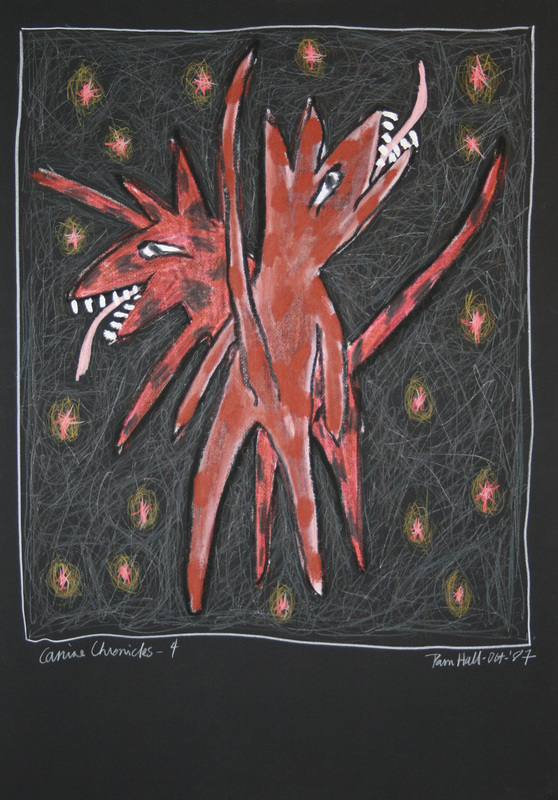 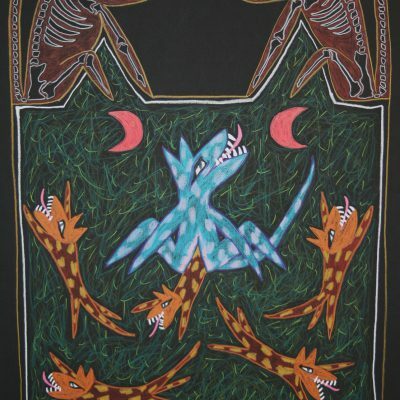 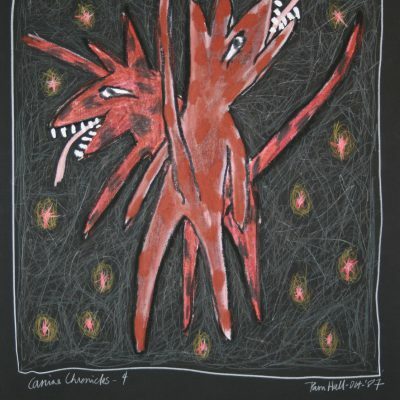 A mixed media body of work, the Canine Chronicles was made up of paintings, drawings and prints. 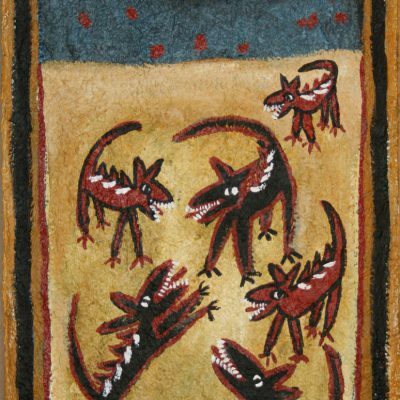 Following the abstract and labored works of Worshipping the Stone, the “dogs” were narrative, decorative and filled with joy and mischief. 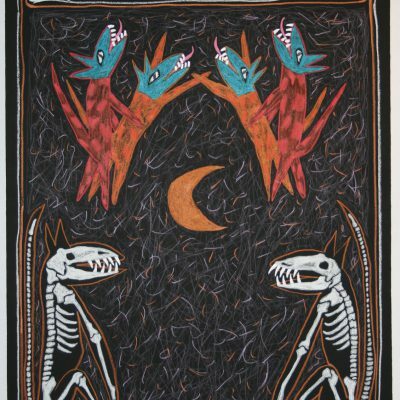 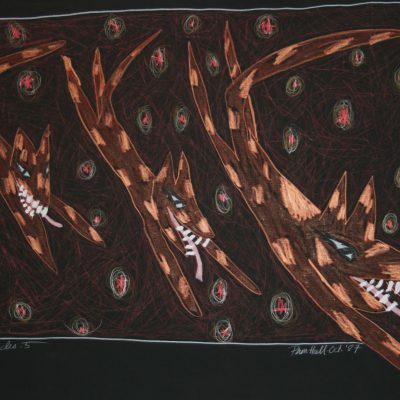 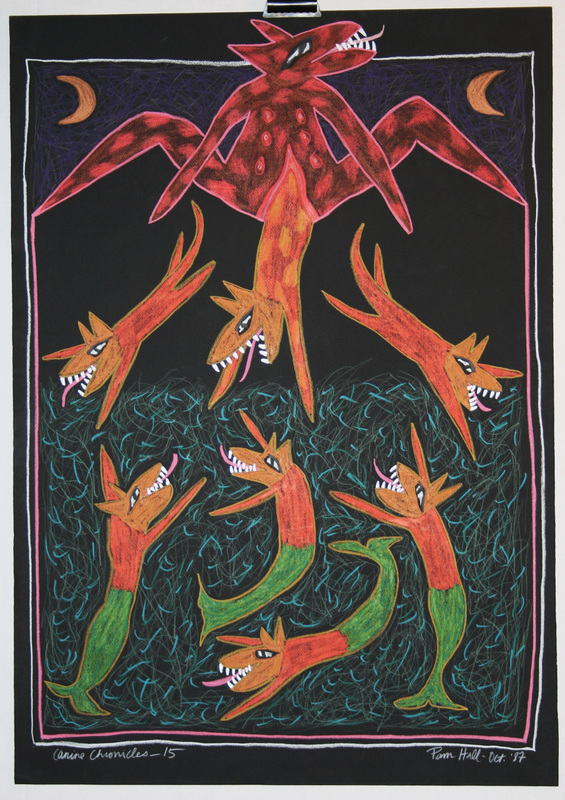 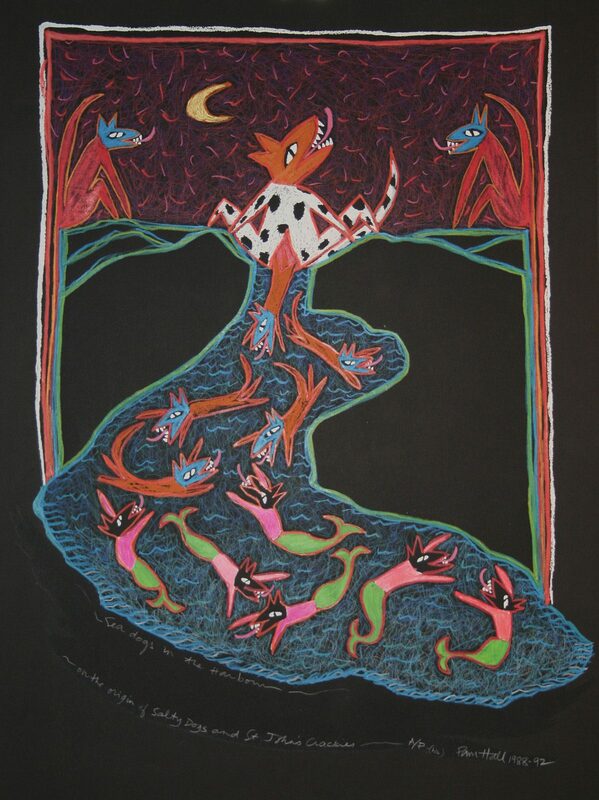 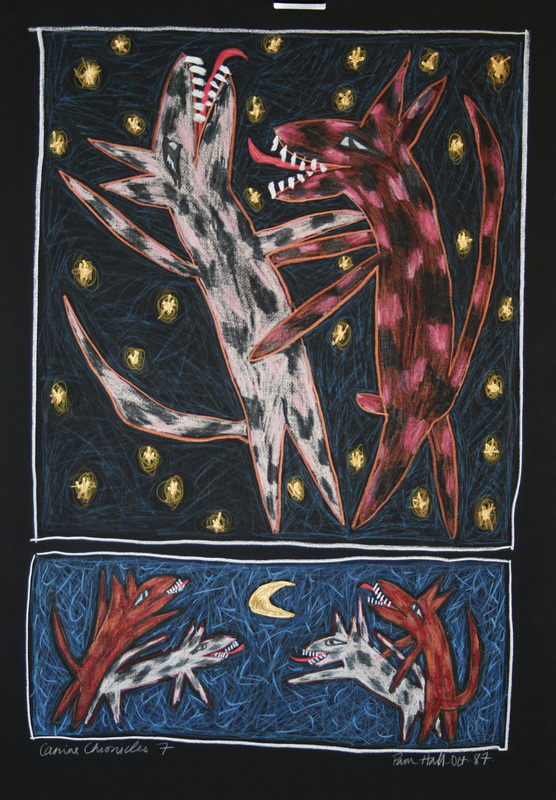 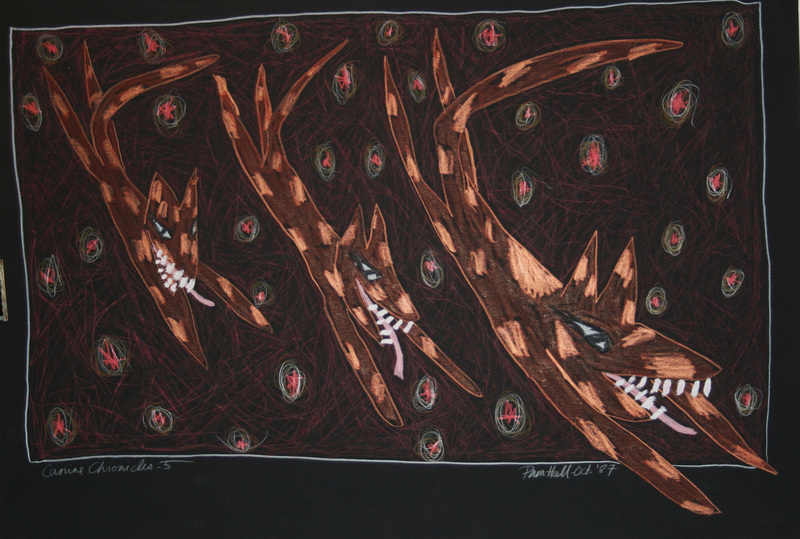 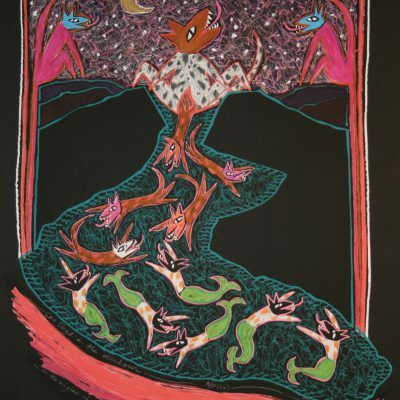 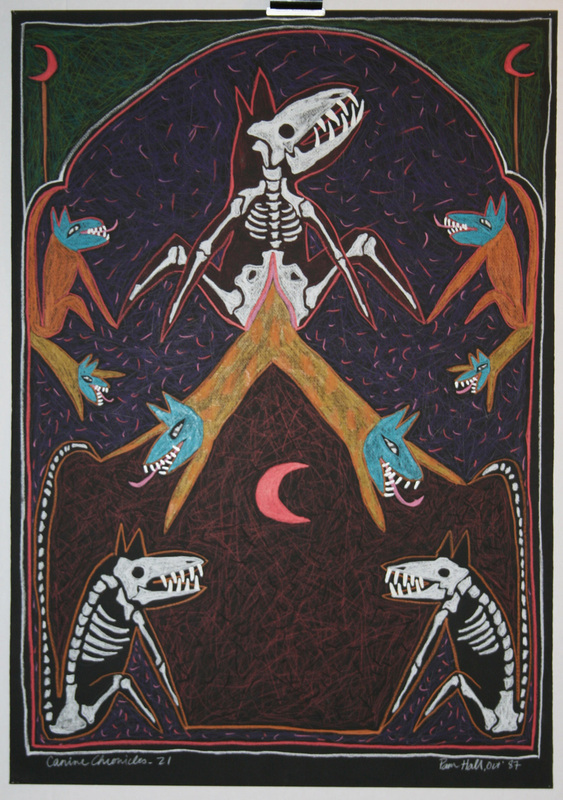 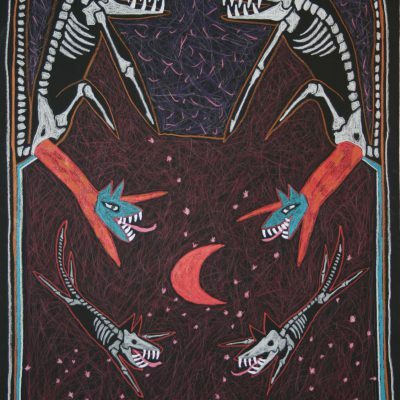 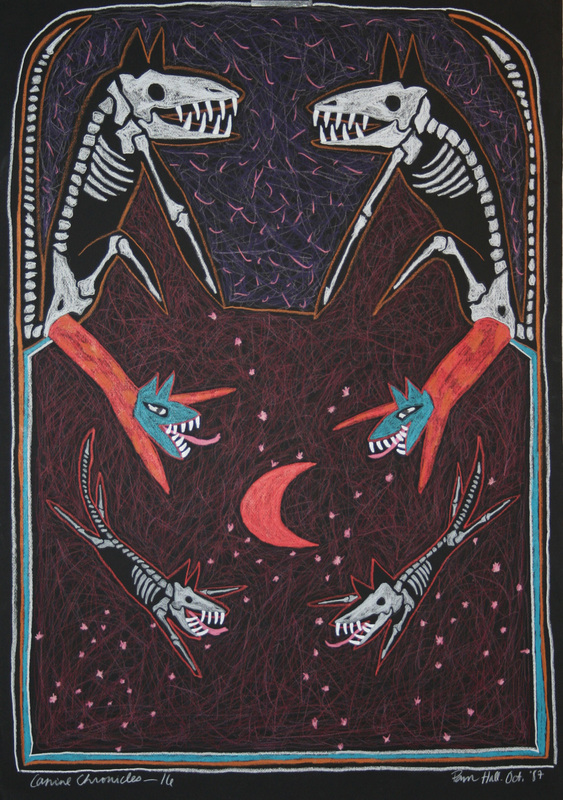 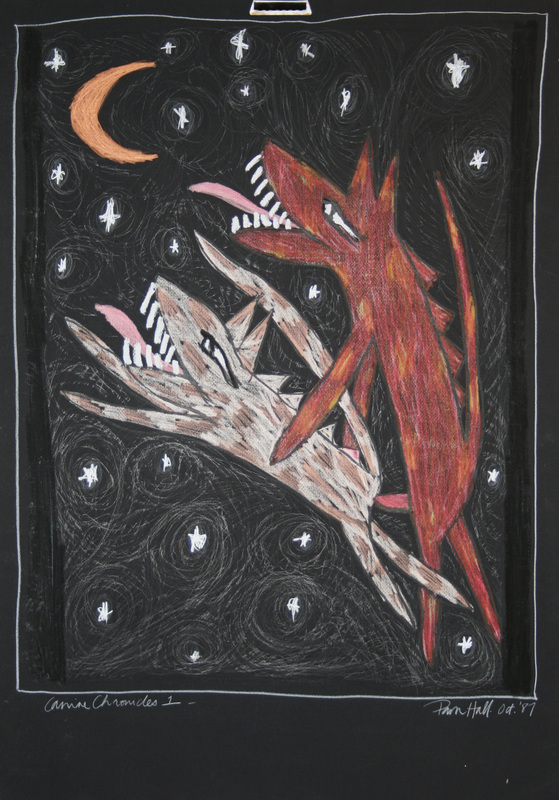 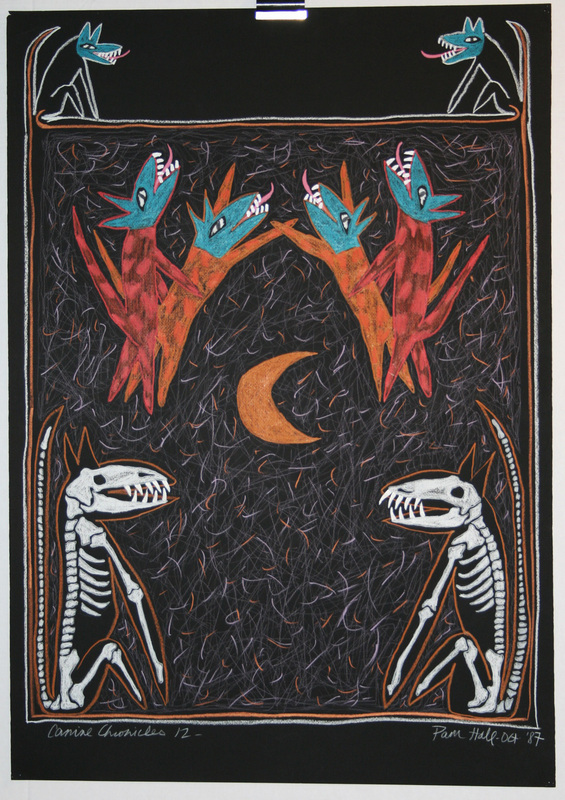 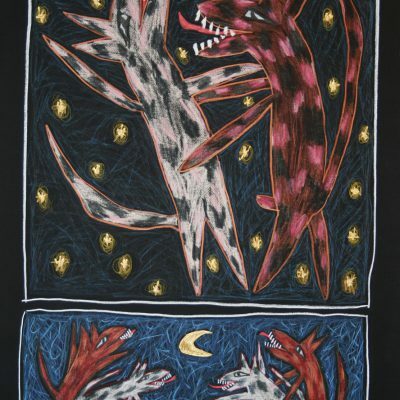 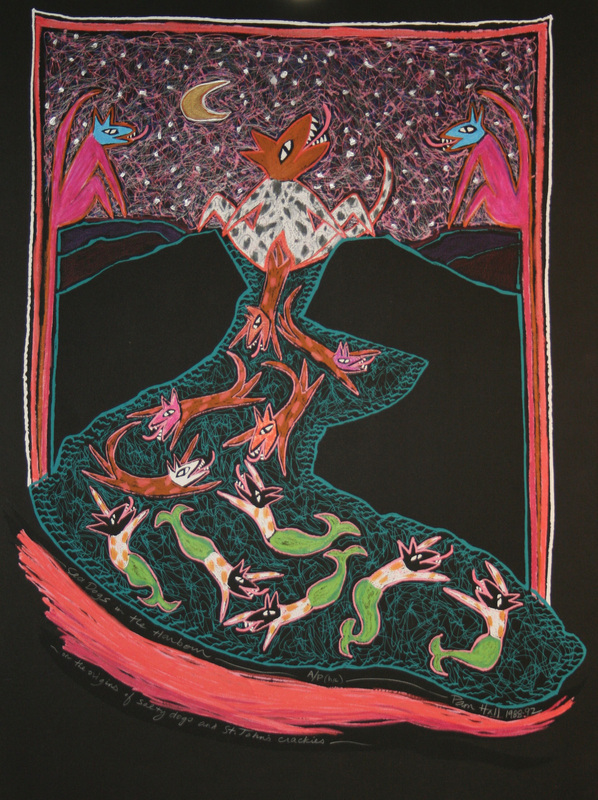 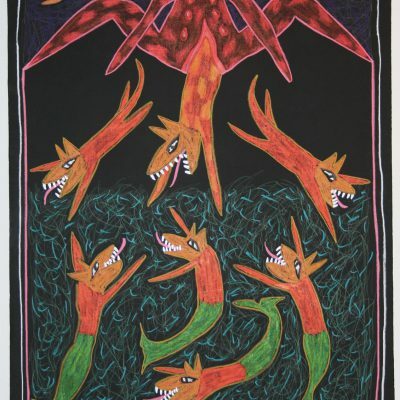 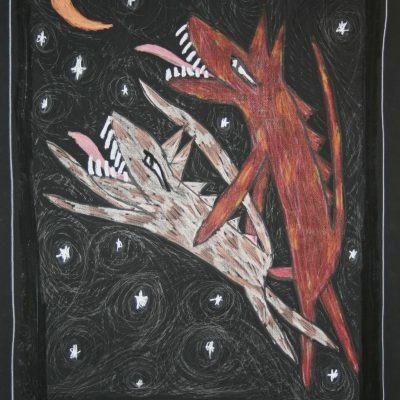 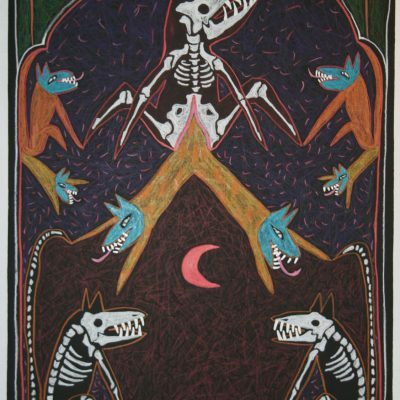 The main elements of the series was a 28-day drawing-a-day cycle which produced the “Chronicles” on black paper, and the print “Sea Dogs in the Harbour: On the Origins of Salty Dogs and St. John’s Crackies”, which was commissioned in 1988 by the Art Gallery of Newfoundland and Labrador as part of their print portfolio, Images of St. John’s.